The setting of the school with creepy or mystical goings-on has been accorded an extremely high profile over the past twenty years with the phenomenal success of both Harry Potter and Buffy the Vampire Slayer. In comics Morning Glories has handled the topic well, although for a slightly older audience. 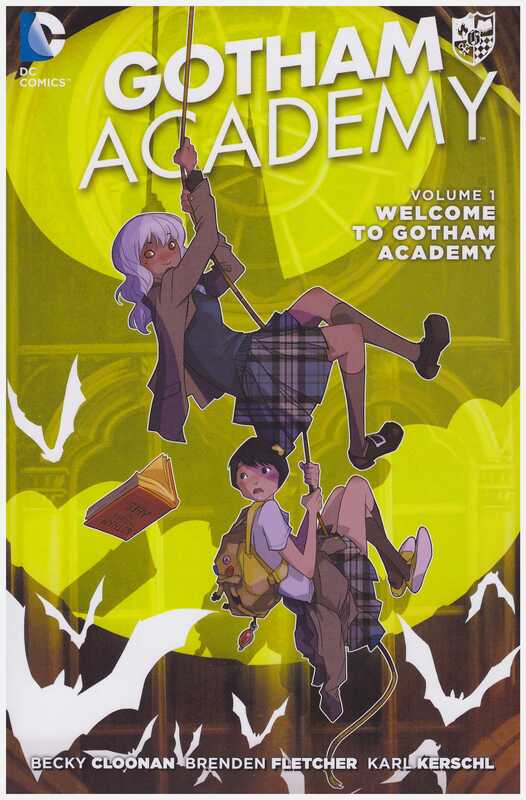 On the basis of this introductory volume, Gotham Academy is a worthwhile addition to the genre. With a Gotham TV show airing it makes commercial sense to tie in this school scenario with Batman’s home town. For those familiar with Batman there are several “are they or aren’t they?” moments, and in some cases they are. At the final knockings he turns up, and more credit is due for resisting the temptation to feature him sooner to permit the regular cast’s development in isolation. Welcome to Gotham Academy is presented entirely via the experiences of Olive Silverlock, a fifteen year old girl with a secret weighing heavily on her shoulders, sharing space with that chip on them. It’s transformed her from the popular and outgoing child she was previously to a more brooding girl, yet still decent at heart. 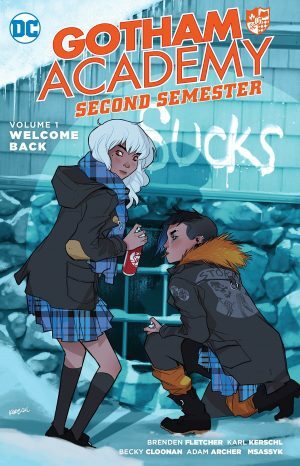 Writers Becky Cloonan and Brenden Fletcher then populate her world with a captivating bunch of fellow students and misfits, the most endearing of whom is Maps, the younger sister of Olive’s former boyfriend. There are ghostly sightings, mystical ceremonies, messages passed through the centuries in old text books, arcane symbols, eccentric teachers and other odd occurrences, but there’s quite a clever twist to all the mysterious happenings. It echoes another influence, but to list that would be too revealing. It’s a shame Cloonan doesn’t also draw the material, but Karl Kerschl’s designs for the cast characterise them well, and his storytelling is very much in animation style, enhanced by vivid colouring. 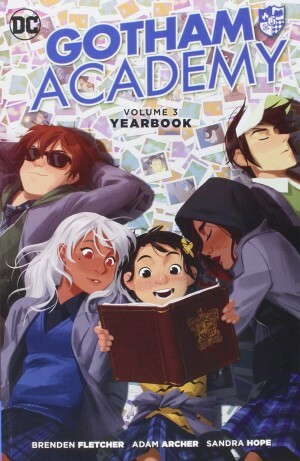 There’s nothing particularly new or original about Gotham Academy other than DC attempting to tap into the teenage market for such material. It does show promise, though, and comics in general could do with more comics presenting positive and non-sexualised women. 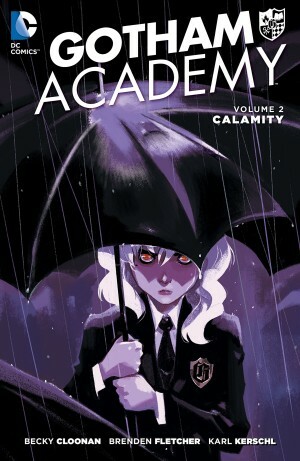 The series continues with Calamity.